United States President Donald Trump this afternoon issued an executive order blocking Broadcom from acquiring Qualcomm in a deal that would have been worth more than $117 billion, reports Bloomberg. The president's order came following a recommendation from the Committee on Foreign Investment (CFIUS) in the United States, despite Broadcom's efforts to save the proposed transaction over the course of the last few weeks. U.S officials believed Broadcom's acquisition of Qualcomm, which has been under investigation by the CFIUS, could threaten national security. The CFIUS previously said that a Broadcom acquisition of Qualcomm could undermine Qualcomm's leadership in 5G wireless technology, allowing China's Huawei to become the dominant 5G provider in the world. Broadcom, a Singapore-based company, promised not to sell Qualcomm 5G assets, announced plans to redomicile in the United States, and pledged to invest billions in the United States, but that did not ease regulators' concerns. "There is credible evidence that leads me to believe that Broadcom Ltd." by acquiring Qualcomm "might take action that threatens to impair the national security of the United States," Trump said in the order released Monday evening in Washington. Trump also said that "any substantially equivalent merger, acquisition, or takeover, whether effected directly or indirectly, is also prohibited." Broadcom first made an offer to acquire Qualcomm for $70 per share in cash and stock back in November of 2017, marking the proposal of the "largest technology acquisition ever, which Qualcomm turned down. Qualcomm also turned down subsequent offers of $121 billion and $117 billion, and had not agreed to the acquisition at the time that it was blocked by Trump. Broadcom had been attempting to add merger-friendly individuals to Qualcomm's board, but today's order makes it clear that no merger or acquisition between the two companies will be allowed. Broadcom may intend to fight the order as earlier today, the company said in a statement that U.S. national security concerns are not a risk as "Broadcom never plans to acquire Qualcomm before it completes redomiciliation. Update: Broadcom released a statement following Trump's order: "Broadcom is reviewing the Order. Broadcom strongly disagrees that its proposed acquisition of Qualcomm raises any national security concerns." 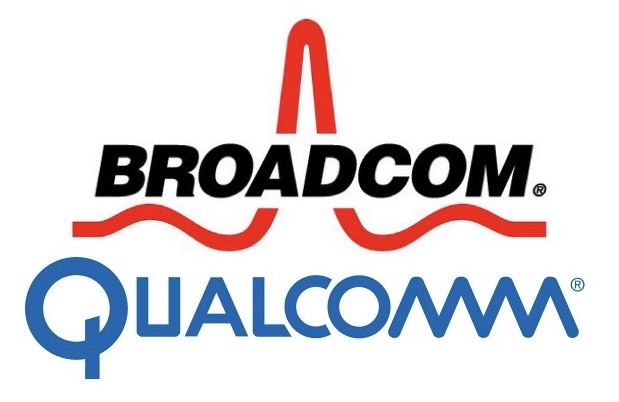 Update 3/14: Broadcom has officially ended its bid for Qualcomm in the wake of Trump's executive order: "Although we are disappointed with this outcome, Broadcom will comply with the order." Probably a reasonable decision, but ironic coming from Trump's White House. Good decision. More consolidation is not a good thing. On one hand - probably a good decision. Which leads me to the other hand - with Trump, you almost always have to assume an ulterior motive. More than a security risk, this looks like the US wanting to have control over technology. If they had just said "it would be too big", no complaints. Maybe now the EU will block the sale of NXP to Qualcomm. When the USA does it - BAD. When others do it - GOOD. This is one of the reasons Trump was elected. Tired of hypocrites telling the USA what to do. I thought it was the Trump administration that was a threat to national security. You wanna know how smart China is. 35 years ago Shenghen was farmland. They created a special economic zone, allowed the likes of HP et all to start manufacturing there, copied their technology and 35 years later it has 15M people living there and is arguably one of their most important cities from a tech stand point. If technology companies didn't go there it would still be farmland. They are great at imitating not innovating. They may have caught up at some stage, but there would have been a large gap that was closed very quickly because they had access to technology & R&D that they didn't have. Yes? America is shooting itself in the foot with isolationist trade practices. The Chinese will gladly trade with EU or Russia or Australia or anyone else. China has pretty good trade relations with the rest of the world. Keeping China as a frenemy is good to stoke fears, but does nothing to change the long term path of The Rise of China. This is Cold War mentality and nothing more. - China is homogeneous and known for it's wall. I think it's called the "Big Wall" or the "Good Wall?" So how can this be?!?!?!?!?! Was I lied to? Someone apparently explained that "national security" is the presidential equivalent of "Simon says"... We're going to be seeing more of this strategy, I'm sure. Gotta love the decision but hate because Trump did it. You guys are absolutely pathetic. They first attempted to hurt the auto industry by imposing the tariff to steel and aluminum, and now this...?